Has there ever been a time where you felt unworthy? Unworthy of someone loving and caring for you. Have you ever disliked yourself so much, to the point where you would go into a dark place? I ask these questions not to necessarily get an answer back, but to let you know this happens to a lot of people. 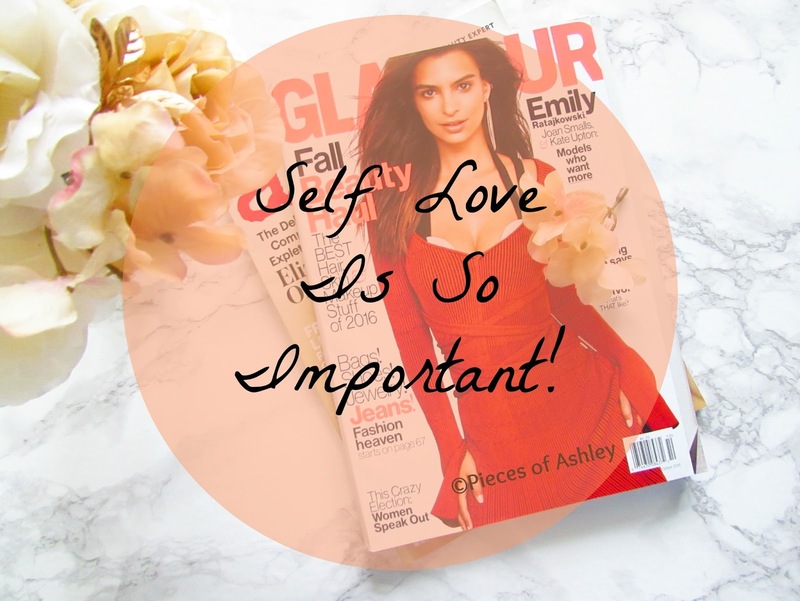 Self love is so important and everyone should feel good about themselves. Unfortunately in today's world that isn't the case at all. Society puts a label on what people should and should not look that. People judge one another 24 hours, 7 days a week and it's wrong. I've wanted to write this for a while now, but sometimes it's difficult. You don't want to offend anyone, but you also want to bring awareness to this topic. I'm not an expert on how to love yourself, but I do know what it's like to not have confidence. I know what it feels like to not think you're good enough, even when people tell you that you are. I use to think I was I was the only one. But then I realized how many people actually feel this way. I'm still a work in progress, but I love the person I'm becoming. I want others to feel the same way. People who are confident in themselves, I give them credit. It's not that easy for the rest of us. This is where the topic of bullying comes in. Bullying affects so many people everyday and we don't even realize it. It really breaks my heart hearing on the news, how people want to hurt themselves because of being bullied. If I could just tell each every one of them that they are so special. People should be able to feel confident in their own skin. People should be able to love who they want and not be judged. Self love is so important and if people would take the time to understand this, it would make a difference. No one should be made to feel less of a person. You are beautiful just the way you are. It doesn't matter your shape or size you're beautiful. Whether you're short or tall you're beautiful. Whether you have colorful hair or your skin color is different you're beautiful. Whether you have one tattoo or many tattoos you rock. The point I'm trying to make is we shouldn't spend time bashing one another for the silliest things. What are you winning by doing this? There are so many more important things to worry about then how someone looks. There are homeless people with no where to go. There are people who are dying fighting for our country. There are people who are dying for no reason at all. People with diseases are fighting for their lives. People who are being bullied because of how they look or because they have a disability are fighting for respect. These are human beings too, they also have feelings. There are so many things we are fighting for that we shouldn't be concerned about: how much makeup someone wears or the fact that people don't want to wear it at all. We shouldn't worry about what someone's hair looks like, I mean is that really important it's their hair. No one is perfect we all have flaws. Know that you are worth it and so much more. Don't let anyone tell you different. If you're feeling down I have to songs you should listen to. Roar and Firework by Katy Perry! These two songs are so powerful and uplifting. I know this is just a post and no one may even read it. But I wrote this to bring awareness and for me this is a start. These are the things I'm feeling. I don't know if this makes sense at all, but what I do know is we should help one another and encourage each other. Thank you for reading this! I hope people realize that it's better to love and not hate. Thank you! This was something I've wanted to talk about and being real is all I know how to be. I was worried about what people would think, but this is how I feel. Love this post Ashley! Totally agree it's better to love then hate and self love and confidence is so important. Great post snd good on you for talking about an important topic. Thank you! I know it's just a post but hopefully it's a start for change. This post is amazing, i think we all get too caught up in trivial things! Thank you! Yes, I agree. I think we forget what's really important. Like I always say, "Self love is the best love"! This is literally my motto! I always tend to talk about these topics on my blog! Great post lovely!